Grab your FREE Christmas Tree Math Pack to work on a variety of math concepts with your little ones this holiday season. These Christmas Math Activities for Preschoolers are a great way to work on counting, basic addition, 1:1 correspondence, etc. Who knew there were so many ways to play and explore math concepts such as 1:1 correspondence, counting, addition, etc. with a Christmas Tree! 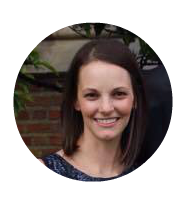 I wanted to create some Christmas tree inspired math activities, and in the end came up with 4 different ways to learn and play with them! 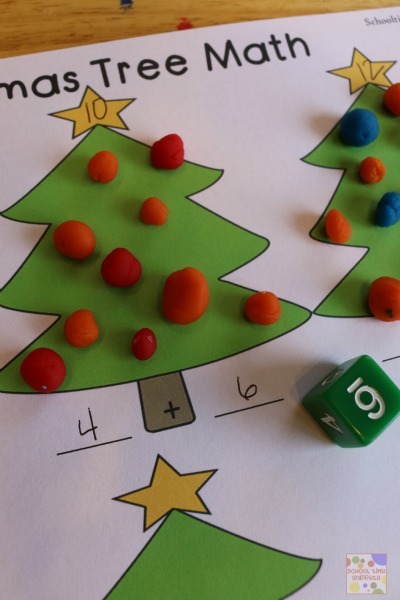 This Christmas Tree Math pack is great for your toddler, preschooler, or kindergartner! 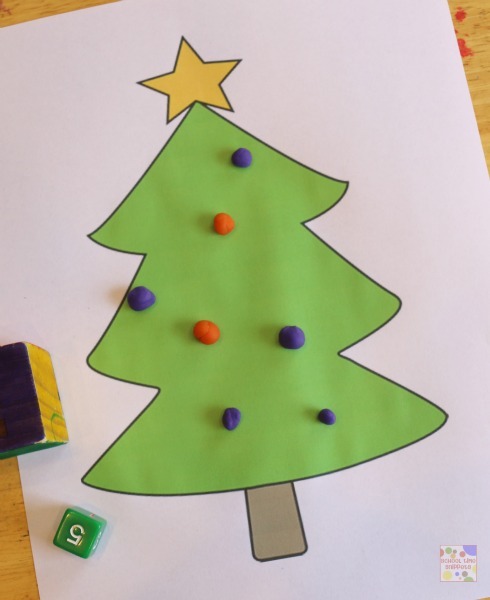 Here are the four different ways to use this Christmas Tree Math Pack! 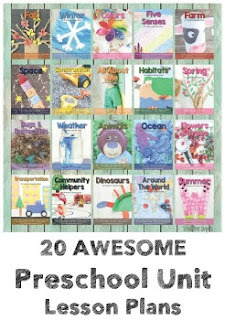 Head to the bottom of this post to download the printables! Work on 1:1 Correspondence for Numbers 1-6 by adding certain number of ornaments to each tree. 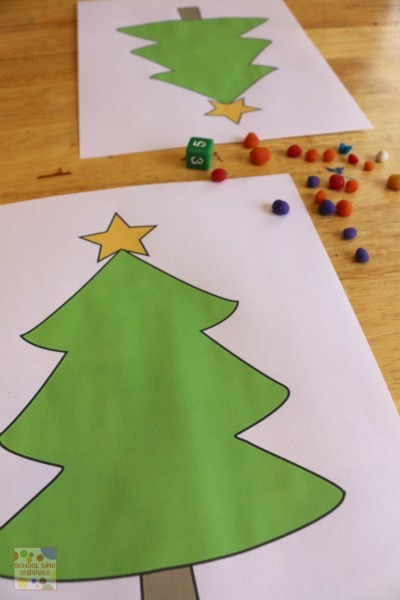 I have also included a set of blank Christmas trees so that you can work on higher numbers with your child. Simply write the desired number in the star of the tree. Roll two die and add that many "ornaments" to the Christmas Tree. With a partner, roll a die and add that many ornaments to the Christmas Tree. Practice subtraction skills, by playing this game in reverse. Another way to play alone or with a partner is to bring out a number and colored die to work on counting, 1:1 correspondence, color matching, addition, etc. Roll a number die and colored die and add that many colored ornaments to your Christmas tree. 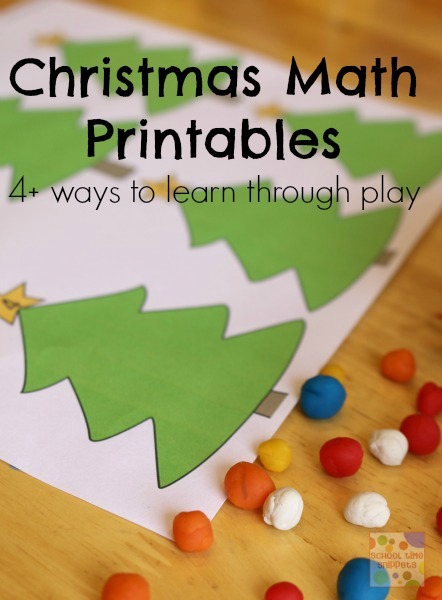 We chose to use our Christmas Tree Math Pack with play dough , but as I mentioned above, you could also use a variety of other manipulatives with each of these activities, too! 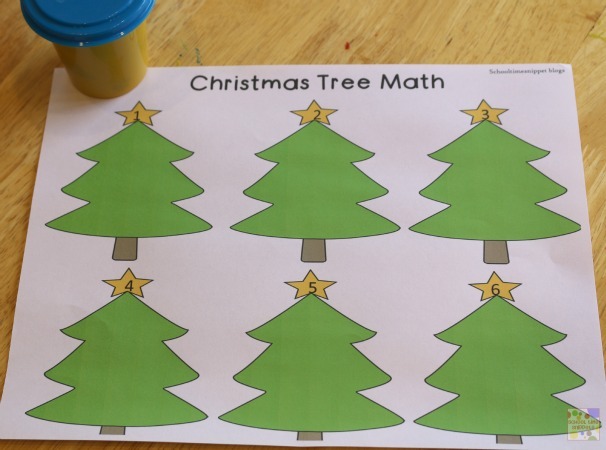 How will you use this Christmas Tree Math Pack in your homeschool or classroom? Get your Christmas Math Pack now!